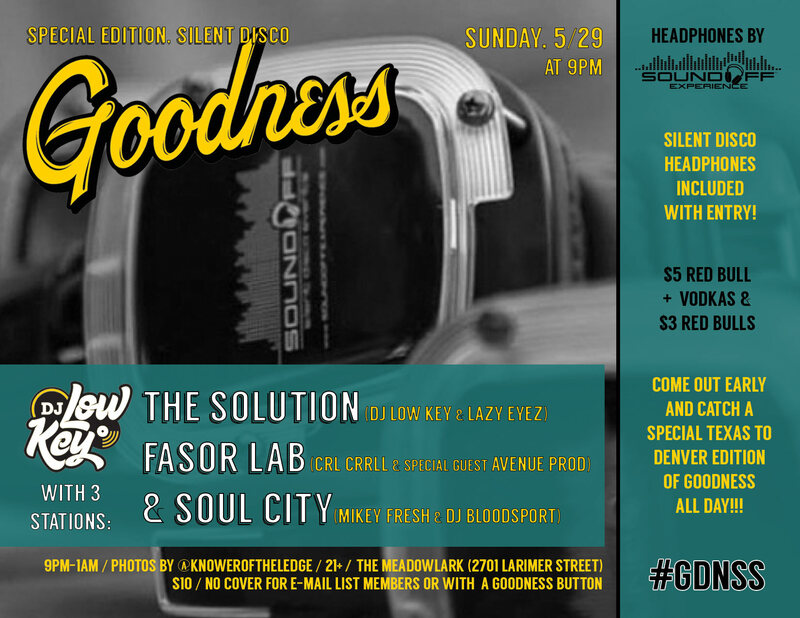 Sunday, 5/29 at 9pm -> Don’t miss a special edition Goodness w/DJ Low Key & Friends Silent Disco at The Meadowlark! We’re teaming up with Soundoff & Red Bull to keep the music on the patio going all night long, with 3 channels of top quality music to celebrate the holiday weekend – The Solution (DJ Low Key & Lazy Eyez), Fasor Lab (CRL CRRLL & special guest Avenue Prod) & Soul City (Mikey Fresh & DJ Bloodsport)!! !